I've been using kevlar fabric to reinforce dlg tail surfaces and fuselages. It's been difficult to find a pair of scissors that will cut this fabric. Recently I was in a local 'dollar' store. 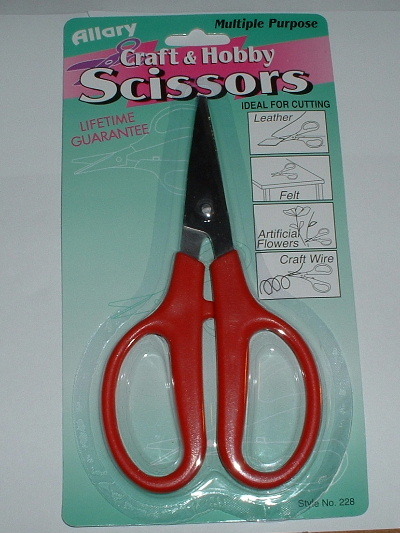 There, in the crafts aisle I found these Allary Craft and Hobby Scissors (style #228). They are 6.25" long and cut kevlar fabric easily - for $1.00.